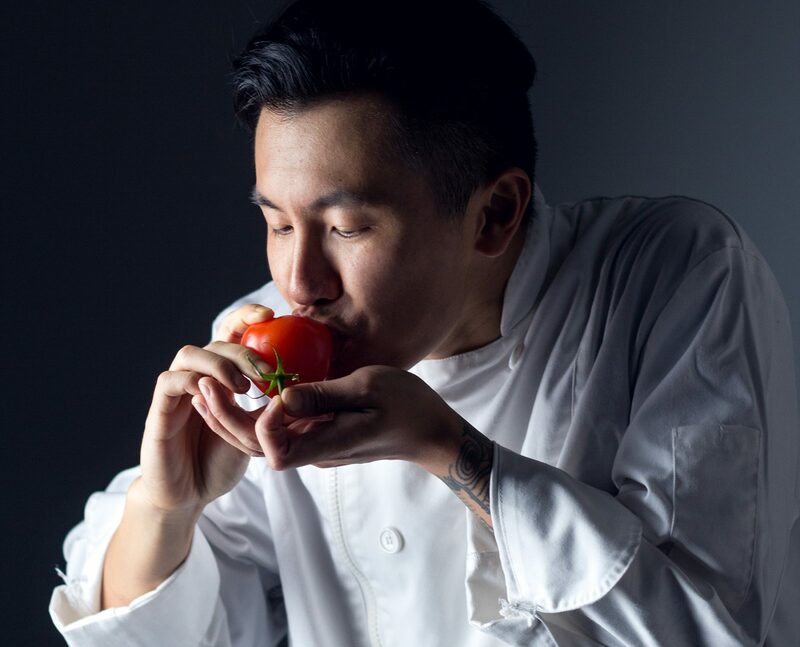 In part one of this two-part series, Derek Chan, co-artistic director of rice and beans theatre, reflects on the experience of translating Jovanni Sy’s hit play A Taste of Empire from English to his first language, Cantonese. Derek will be performing in 食盡天下 / Taste of Empire at The Gateway in Richmond, BC, September 15-17, 2016. My relationship with the Cantonese language has been turbulent at best. We can’t seem to make up our minds on whether we are lovers or enemies. Whichever cycle we find ourselves in, we share an intensity that traces much further back. Our relationship extends all the way back to a time when there were emperors and dynasties. Sometimes it is volatile as gunpowder. Sometimes it is full of quiet desperation and silent treatments. Right now, we are lovers. This time it was Jovanni Sy who got us back together. It was December 2015 – must have been almost Christmas. I had been at PTC for about two and a half months, with the Writers’ Colony just wrapped up. Earlier, sometime between the Fringe in September and starting at PTC in October, I found myself doing some English-to-Cantonese live interpreting at Gateway Theatre in Richmond. At the end of November, I had a chat with Jovanni after seeing his solo show on Granville Island. He mentioned something about a Cantonese project in the New Year. The idea was to find a solo piece or two-hander, one act, in English. I would translate it into Cantonese. Jovanni will direct the piece, and I will perform it in September, or the year after. So we met at Turk’s on Commercial Drive. The coffee kicked in, and we were talking about one thing or another. I was nervous and hadn’t eaten much that day. Chances were that I was on a tangent, probably something about the fact that I was born and grew up in Hong Kong about how I went into semi-self-exile in Norway for two years, about how I ended up in Vancouver mostly by chance and about how when people tell me they thought I was born here because I don’t have an accent I tell them that during the first week of theatre school I asked my acting teacher Penelope not to go easy on me and help me get rid of my accent. That last part about my accent might not have happened that day, but it’s a story that I find myself telling more and more often. Ever since I have dipped my bony little Chinese toes into the world of translation, I have begun reflecting more closely on how we define our identities through languages and accents. Jovanni asked as I was eavesdropping on the next table talking about their Magic: The Gathering cards. And I had that job at that crappy sandwich place on Granville Island… and I still haven’t poisoned anybody yet. Just a liiiiiitle star struck. Just a little, Derek. So that’s how my sordid affair with Cantonese was reignited this time. Oh dear, what have I done? I have never translated before. Or have I? Maybe I have been translating since the day I left Hong Kong. The only difference is that up until recently, I have only been doing that in my head, and only for myself. In the beginning, there was Hong Kong. There was Cantonese. And Emperors. And dynasties rotting from the core. And premium imported opium. And then there was British rule. We Hong Kongers always have this idea that we are something special, or something different. There used to be this twisted sense of pride that we are special, because the Westerners wanted us. Hong Kong, The Fragrant Harbour. Some sort of Sky-god appointed Pearl of the Orient. We are not like our backwards Mainland cousins. The ‘Special’ in Hong Kong Special Administrative Region has to mean something, right? We don’t know whether to love or hate ourselves. Cantonese is what we speak and therefore what we are, but it is also something I have learnt to be ashamed of. We thought the English language as a status symbol. Receiving an education in English meant you are elite, modern, sophisticated, worldly. Those who went to Cantonese-speaking schools were bottom of the barrel. This was all by colonial design, probably. Divide and conquer. It was all a little silly in the end, come to think of it. Whichever sort of school you went to, every Cantonese speaker reverts to speaking Cantonese as soon as the recess bells rang. During lunch hours, we ordered food in Cantonese. Even during English class, I never once asked to borrow somebody’s pencil in English. I am not disputing the usefulness of knowing another language. I am acutely aware of the privileges and opportunities I have had, simply because I had the luck to receive an education in English. But with that history, I have also grown up to be ashamed of my mother tongue. When I first arrived in Canada, reading and writing was never the problem, but I spoke with quite a mess of an accent, apparently. Back home, I learned English at school from (in no particular order) a few locally educated teachers, a Singaporean, a local who grew up in Arizona, and an Irishman. When I left Hong Kong and went to an international school, my English teacher was from Leeds, my advisor from Ghana, and my then-girlfriend spoke Swiss-German – you get the idea. With all these influences mixed in with my Cantonese accent, I must have sounded like someone who just could not make up his mind about where and who he was. Speak English, be more like them; don’t be one of those chinks who only hang out with their own people; you are not going to get any opportunities in theatre if you don’t speak better English; they think you can’t speak English, show them you aren’t stupid; you are in someone else’s country now, speak their language. You are in someone else’s country now. To a certain extent, I agree with the principles of that. It is not unreasonable to ask immigrants to at least make an effort to understand the language and culture of the new country. Learning the common language facilitates communication and understanding. That is the sensible thing to do. That shouldn’t mean we need to purge our language, culture or identity like it is a sin. Unfortunately I tried doing exactly that. I was young, I was angry, I was lost. Everything was black and white. My accent became an obstacle to me being understood, to being what I wanted to be. It sometimes became so thick a barrier that some people didn’t manage to see that I am defined by more than just my weird accent. So I decided to get rid of it, or at least hide it away like a dirty secret in a small Yukon town. I decided to stop thinking and dreaming in Cantonese, and learn to do that in English. I thought I only had a finite amount of cultural identity real estate. If I wanted my new skyscraper, I needed to tear down the hodgepodge bungalow first. There was only room for one. What a lonely thought that was. Cantonese and I were going through a rough patch back then. We almost broke up for good. Going incognito on my way to success! However, something has changed in the past year or two. Cultural identity is not real estate. It is alive, and it never just gets washed away. You can file it down all you want, but it always survives, and it always grows back. Sometimes it does the heavy-lifting for you, sometimes it takes over the steering wheel without asking, sometimes it requests your favourite song on the radio, and sometimes you just can’t help but put a gag on it and lock it in the trunk until it stays quiet. But it is always going to be there. There is still a certain childish thrill of being able to fly undercover, to be able to act and sound like I belong somewhere, finally. But at the same time, I have stopped trying so hard to avoid doing things that would “give me up” – the small things and little details. I let myself think in Cantonese once in a while; I eat and cook a little differently; I go to Chinese restaurants more often; I speak Cantonese in public without feeling awkward; I even feel a little smug when people are surprised that I am fluent in Cantonese because I sound like I am from here, and I will say, “yeah, I was born in Hong Kong and spent a good chunk of my life there. Figure I have avoided Cantonese for long enough…” Indeed I have. And now the secret is out: Derek Chan is fluent in Cantonese. Going commando on my way to success!